According to schedule, faculty would report to Lusher on Tuesday the 8th, attend Professional Development for the following three days of the week, prepare classrooms over the weekend and Monday, and welcome the students for their first day on Tuesday the 15th. I personally found the first week of August to be a downer, so I especially welcomed the start of school activities to get my mind focused on constructive things. The Tuesday kickoff for all grades was held at the Lusher Elementary site. I didn’t get a sense of how large the elementary staff is, but there are about 70 total staff for the middle and high school grades. Demonstrating Lusher’s focus on arts based education, 17 are teachers of arts subjects, including visual art, drama, music, dance, and creative writing. I was surprised that 40-50% of the staff are new to Lusher. There’s a healthy mix of youth and experience in the staff (Isn’t that the politically correct way to say it?) The backgrounds are diverse, and I’ve already met 4 or 5 others who’ve lived in California at some time. I’ve had to check my grudge against Teach for America, as there are a handful of current and former members. I must admit they seem plenty nice. The main benefit of the days spent at Professional Development, for me, was to get acquainted with my new colleagues. I became further assured that there will be plenty of camaraderie and support. This was very comforting, as I still haven’t seen an Algebra 1 or PreCalculus book! The readiness of the Fortier (pronounced “FOR-chay” or “FOR-shay”) campus has constantly been in question. Tuesday’s plans originally included a tour of the building, which serves as the new site for the Lusher middle and high schools. However, the tour was cancelled since crews were still cleaning out the old contents. We later stuffed and mailed letters to students and parents claiming that the 15th is still the official first day of school, but the school’s website should be checked for possible changes. Even the most optimistic schedule had us moving into the building on Monday the 14th, making many of us wonder how we could possibly start classes a day later! …Because of the mold and mildew contamination at the Fortier Campus after the storm, all of the contents of the building are being removed and discarded. 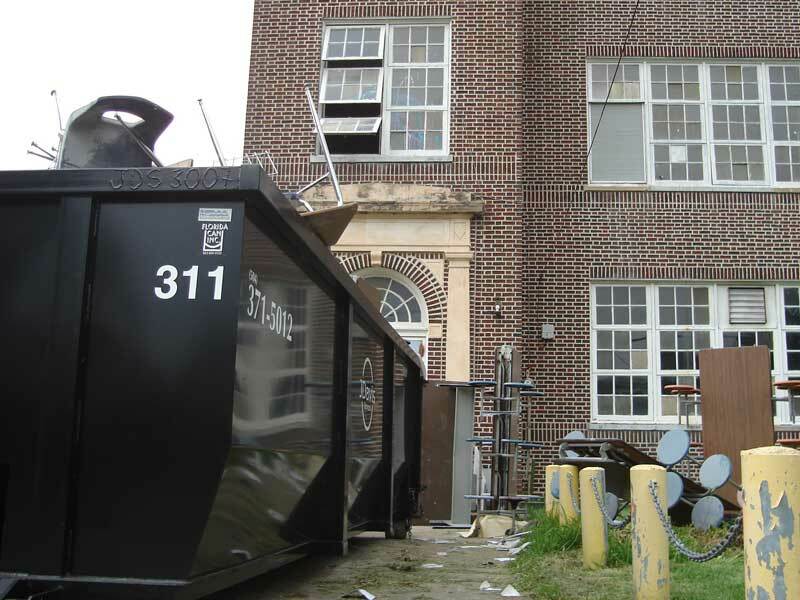 An environmental firm and three separate liquidation firms inspected the items and agreed with the decision to remove them in order to assure that our students and faculty will be in a safe and healthy facility. The items are being replaced with new materials that are currently being moved in and set up. The cleanup of the Fortier building continues. I’m glad to have a little breathing room, since we’ve lacked some resources for preparation. On the other hand, there’s a part of me that just wants to jump into this new challenge, even if I’m not quite ready. 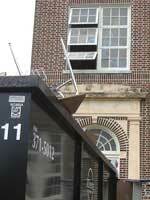 On Monday (the 14th), we’ll report to the former middle school location and spend the day on more administrative stuff. I don’t know what will be in store for the rest of the week. Hopefully enough to stay busy. I suppose the bottom line is that my excitement to be part of the Lusher staff is a good thing, and I should just be thankful. The start of this school year will probably be bumpy, but I expect good things down the road.